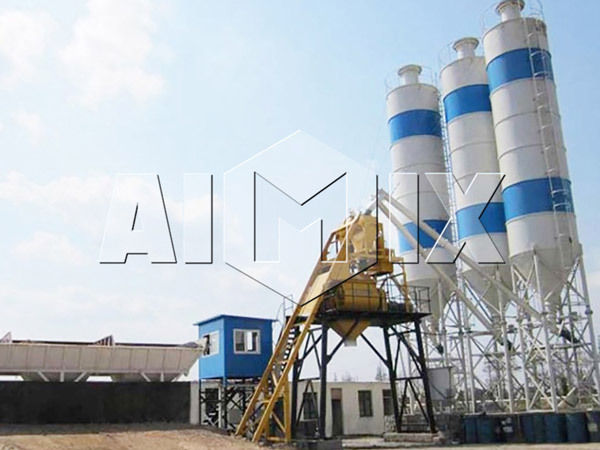 Mini concrete batching plant is a kind of portable concrete mixing machine. 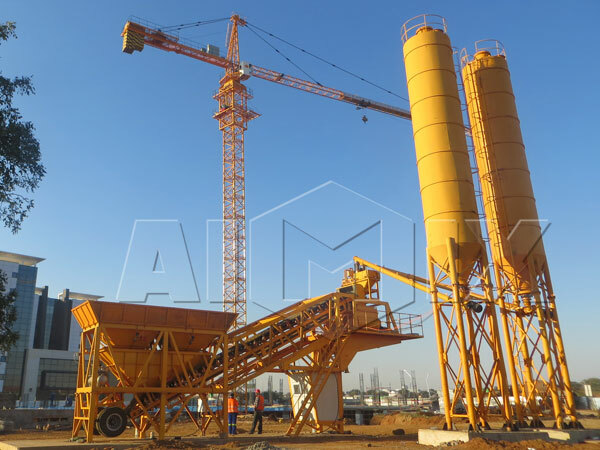 Compared to stationary concrete batching plant, it is flexible to move, therefore, this kind of machine is more suitable for such construction projects of short construction period, long construction line, and need to change the construction site?momentarily. 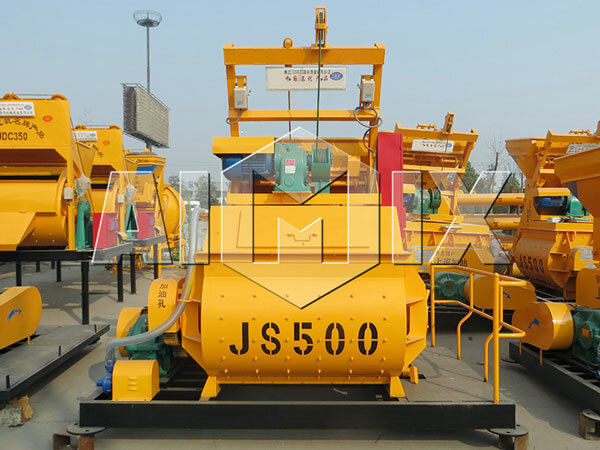 And more and more users would like to choose this portable concrete batching machine to finish their construction projects. But there only a small amount of people know how to choose the most proper machine and they even don’t know the basic information about the machine. 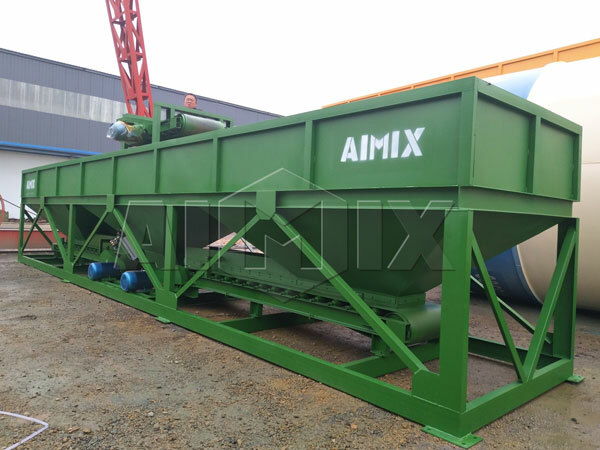 So this article will introduce the machine to you in detail and hope it will help you have a better understanding about mini concrete batching machine. This mini batch plant?have two types mainly :?mobile type and stationary type. YHZS series are YHZS20 and YHZS35, HZS series are HZS25 and HZS35. 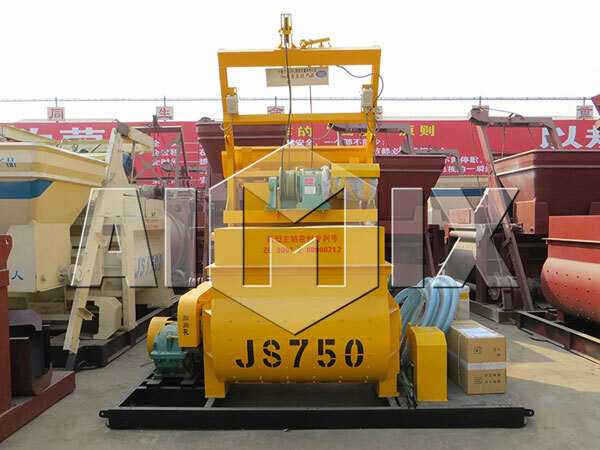 And take YHZS series for example, YHZS20 means it is equipped with JS500 twin shaft concrete mixer, its theoretical production capacity is 20m?/h, while YHZS35 is equipped with JS750 and its theoretical production capacity is 35m?/h. Working process of both mobile type and stationary type is the same, the only difference is that mobile type has tyres and they can achieve easy movement. And you can choose the most proper one according to your practical construction condition. 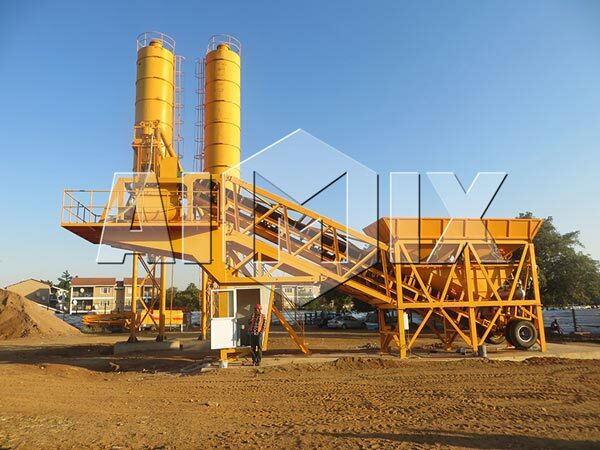 This mini concrete batch plant is an integrated unit,which is used to mix the concrete intensively?and mechanically, they are well suited to mix those concrete of?fluidity concrete, semi dry and hard concrete and no-slump concrete. And it is commonly applied?in large and medium-sized water conservancy, electricity, bridge and so on construction projects. 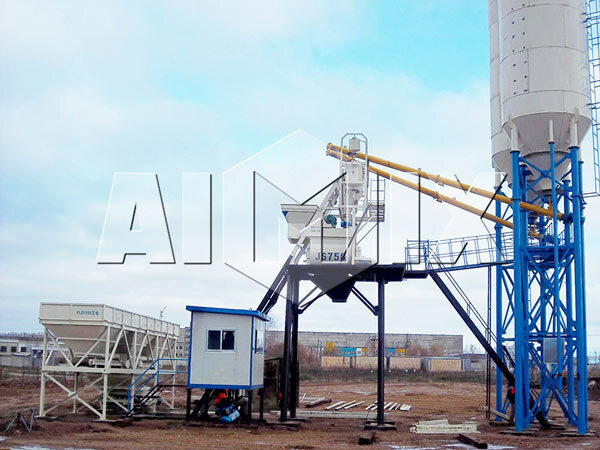 Mini mobile concrete batching plant?consists of nine parts: mixing console, aggregate batcher machine, aggregates hoisting system, cement and coal ash supply system, weighing system, water supply system, electrical control system, operation control system and discharge system. 3. Aggregates hoisting system. There are two kinds of aggregates hoisting methodsto choose: by hopper and by belt conveyor. But in general, mobile type plant adopts belt conveyor to convey the proportioned aggregates. Here is a simple comparison between them. For hopper, it has characteristics of compact structure, less land occupation and low construction cost; for belt conveyor, it has characteristics of high productivity, long delivery distance, stable performance, low maintenance cost, and it will not be affected?by the weather?condition. 9. Discharge system. 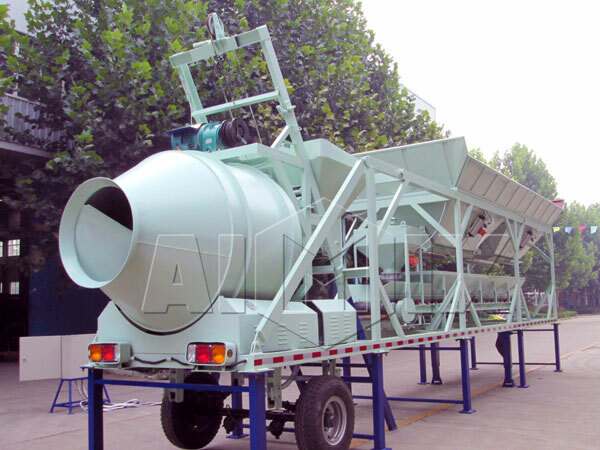 For the mixing console is JS series twin shaft compulsory concrete mixer, so there are three kinds of discharge methods to choose: hydraulic discharging, pneumatic discharging and manual discharging. And you can choose any one according to your practical construction condition. 3)?Through the belt: it belongs to accumulative?weighing, but there is not the weighing hopper, all aggregates are discharged to the belt and there is weighing sensor on the belt, the aggregates are weighed on the belt and sent to the storage bin through the belt conveyor. 5. Discharging process. Usually, choose hydraulic discharging, which is an effective way to discharge the concrete mixtures for the mini concrete plant. It has high working efficiency. 5. Fast mixing speed and good mixing quality. 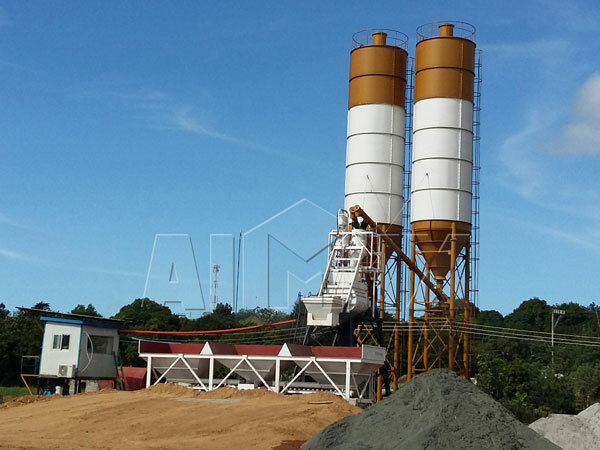 Twin shafts design greatly improve the mixing condition. 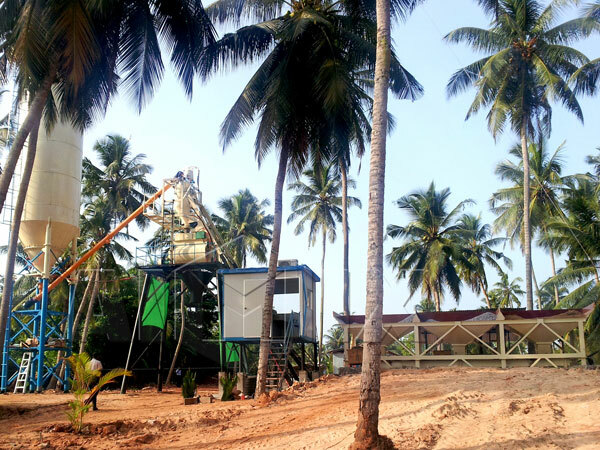 We are professional mini concrete batching plant manufacturer, and we have been engaged in construction machine for years and especially in mini batching plant. And our machines have been exported to many foreign countries and have made enormous contributions to construction field. And our price is reasonable, service is considerate and?technician is professional. The most important thing is that our machine has characteristics of stable performance, long service life and low maintenance cost. 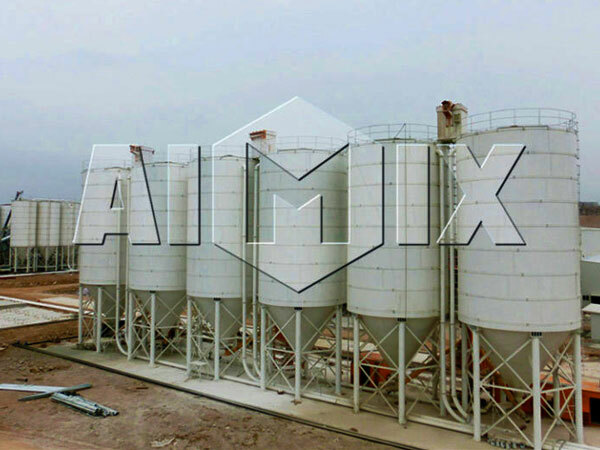 In addition, we have small concrete batch plant, mobile concrete batch plant, ready mix concrete plant, dry concrete plant and wet concrete plant, etc. No matter which one you choose, we are sure that our products can meet your demands greatly. Look forward to your early inquiry for our mini batching machine!